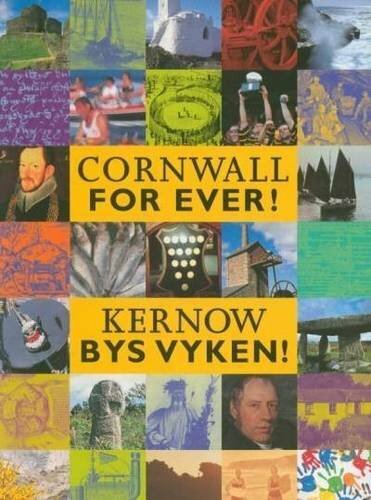 A Handbook of the Cornish Language | Cornwall For Ever! In 1904, Henry Jenner wrote A Handbook of the Cornish Language. This textbook helped people to learn Cornish. As a result, the number of people using the language began to grow. This was the start of the Cornish language revival. Yn 1904, Henry Jenner a skrifas A Handbook of the Cornish Language. An dornlyver ma a weresa tus ow tyski Kernewek. Avel sewyans, an niver a dus ow tevnydhya an yeth a dhallathas tevi. Dalleth dasserghyans an yeth kernewek o hemma. By 1900, very few people could speak the Cornish language. Fishermen in the west of Cornwall still used the language to count their fish, and some older people knew Cornish words and phrases that they had learnt from their parents. However, most people in Cornwall had no knowledge of the language. Henry Jenner was a Cornishman with a deep interest in the Cornish language. Because other people were becoming interested in Cornish, and also wanted to learn the language, Henry decided to write a textbook to help them. The book was published in 1904, with the full title A Handbook for the Cornish Language – chiefly in its latest stages with some account of its history and literature. In the handbook, Henry wrote about the development of the Cornish language and how it was closely related to the Welsh and Breton languages. He also wrote about the plays and verses written in the language and why people had stopped speaking it. Henry included Cornish words and phrases that had been used when the language was last regularly spoken in the 1700s. By writing the handbook, Henry had begun the revival of the Cornish language. People could now learn more about Cornish and how to speak it. Later, other people like Henry’s friend Robert Morton Nance also wrote Cornish textbooks and the first Cornish-English dictionary. However, it was Henry and his handbook that had helped to save the Cornish language. The revival of the Cornish language happened at the same time that the old people who had learned Cornish from their parents were dying. That means that the Cornish language never died – there was always someone alive who knew some Cornish. Henry included some Cornish insults in the Handbook, including pedn mousak!, which means stinking head! and cronak an hagar deu!, which means ugly black toad!